Bill Bryson goes to Kenya at the invitation of CARE International, the charity dedicated to working with local communities to eradicate poverty around the world. Kenya, generally regarded as the cradle of mankind, is a land of contrasts, with famous game reserves, stunning landscapes, and a vibrant cultural tradition. It also provides plenty to worry a traveller like Bill Bryson, fixated as he is on the dangers posed by snakes, insects and large predators. But on a more sober note, it is a country that shares many serious human and environmental problems with the rest of Africa: refugees, AIDS, drought and grinding poverty. Travelling around the country, Bryson casts his inimitable eye on a continent new to him, and the resultant diary, though short in length, contains the trademark Bryson stamp of wry observation and curious insight. 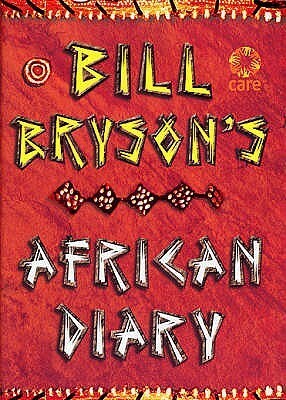 All the author's royalties from Bill Bryson's African Diary, as well as all profits, will go to CARE International.